PublicVoice is pleased to announce our partnership with qualitative data analysis software company MAXQDA. 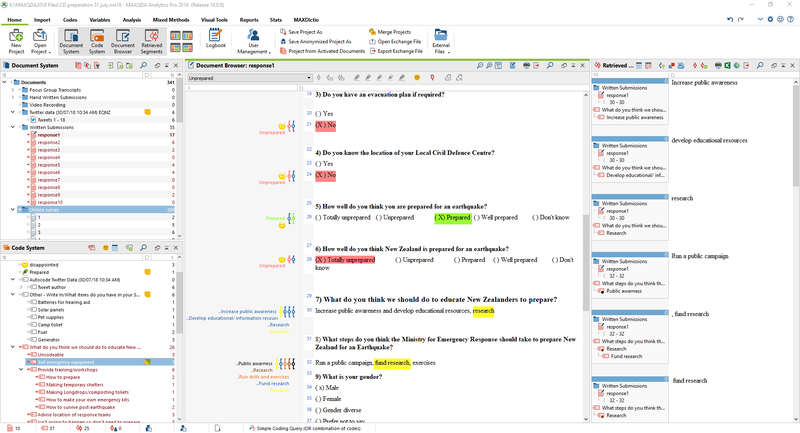 MAXQDA has been providing software for qualitative and mixed methods research since 1989. PublicVoice is currently the only certified MAXQDA reseller in New Zealand. 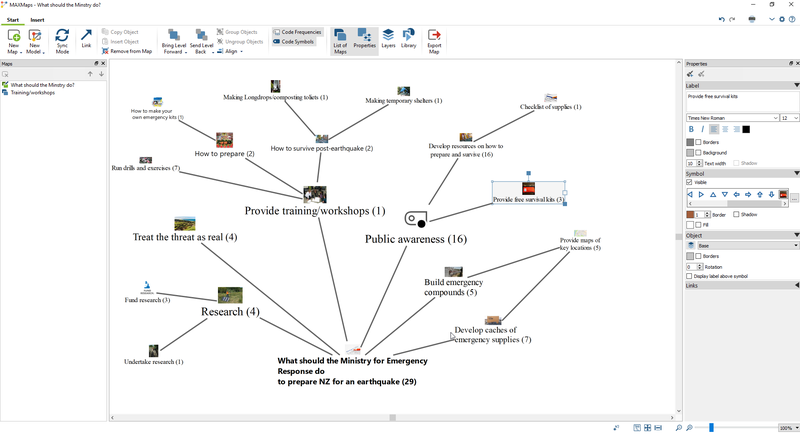 MAXQDA assists with your data collection as well as helps you organise, analyse and visualise your data. 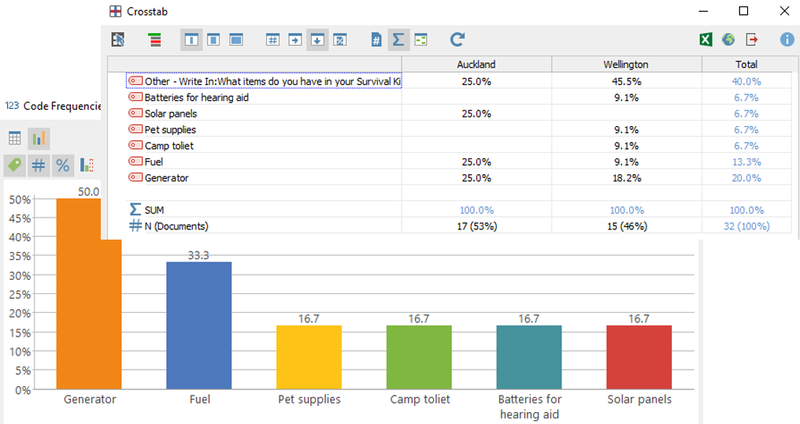 You can import a variety of documents including survey data, PDF, Word, Excel tables, images as well as Twitter feeds. We’ll be releasing more information about this new product shortly. In the meantime, we have included examples of the user interface and outputs below.